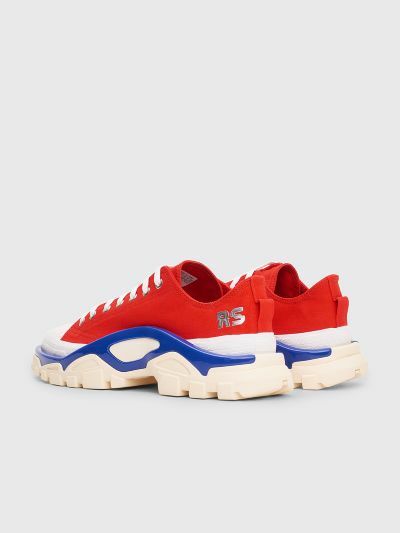 Sneakers from Raf Simons made in collaboration with adidas Originals. 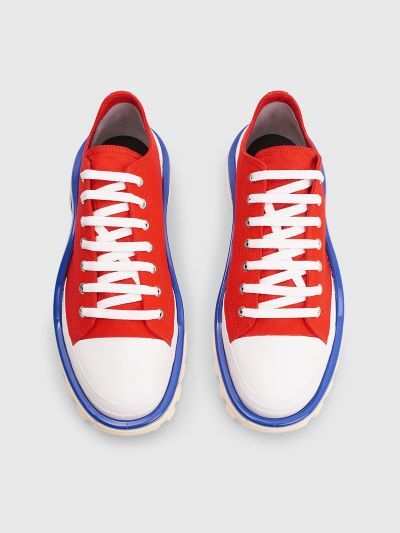 Textile canvas upper with contrasting rubber toe cap and plastic compartment around the contrasting midsole. 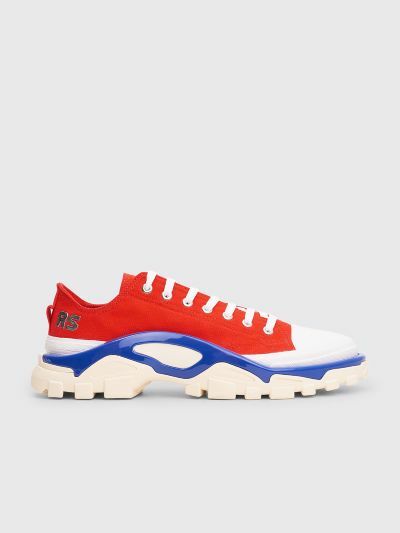 Flat laces through tonal eyelets, logo print and textile pull tab on the heel. Comes with an extra pair of shoe laces. 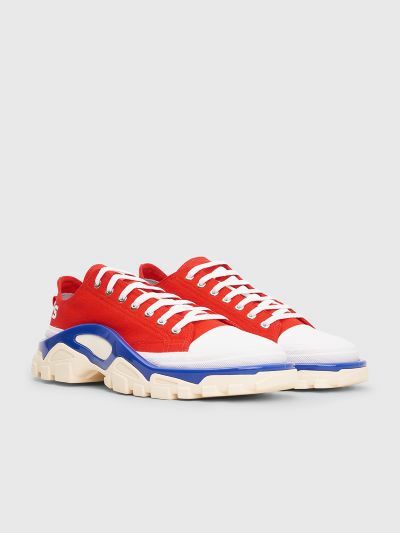 Red, blue and white sneakers. 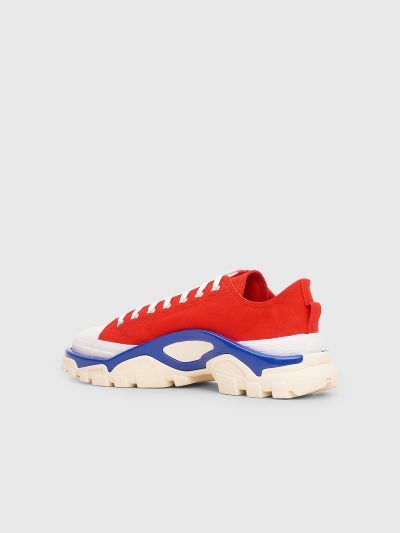 Textile upper, textile lining and insole and a rubber outsole.